I'm so excited to share a sim for the first time! I couldn't make Jester as she appears in the canonical concept art, but I tried to keep as close as possible to her "modern au" version I'm going to do all the Mighty Nein in due time! 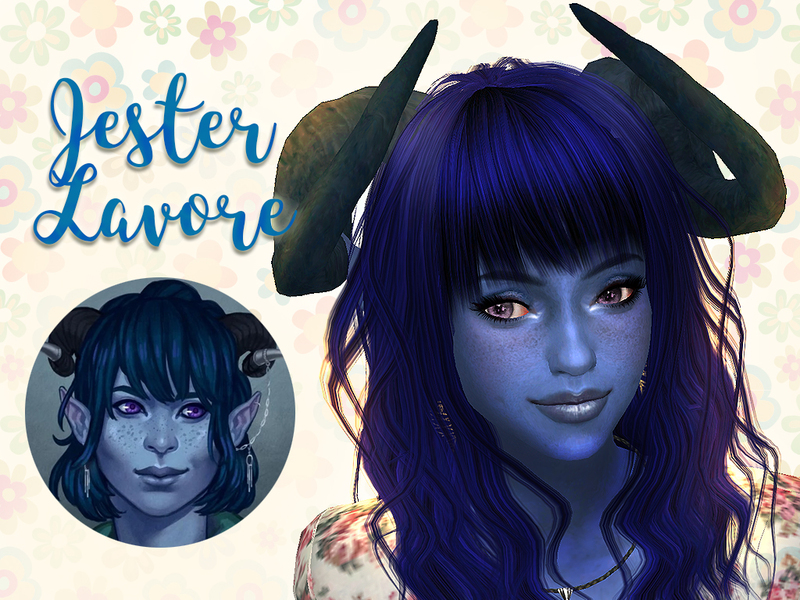 In the download you'll find also the custom skintone I used, you need to download the package for Jester's skin to be right. It works with every kind of overlay make up and skins. Note: the skintone is NOT HD-MOD COMPATIBLE. 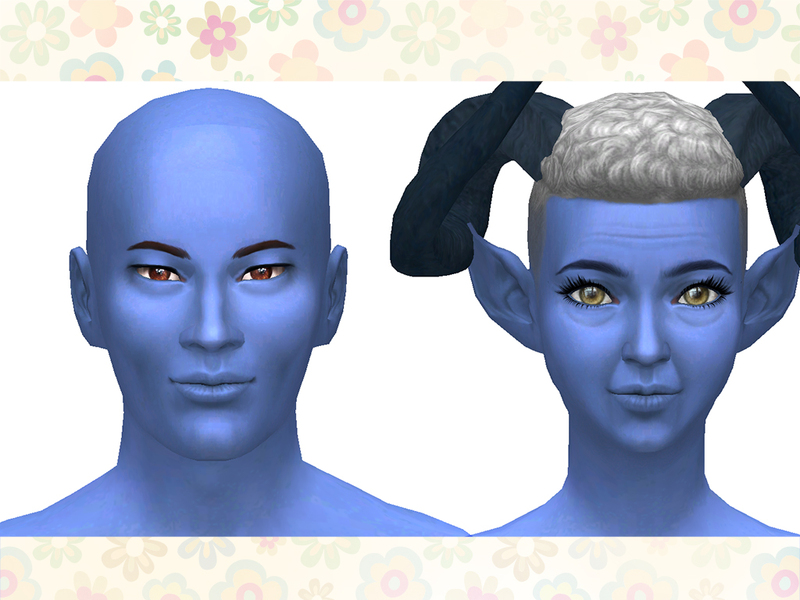 If you want you can use any other blue skin tone. Laura Bailey for the amazing character!